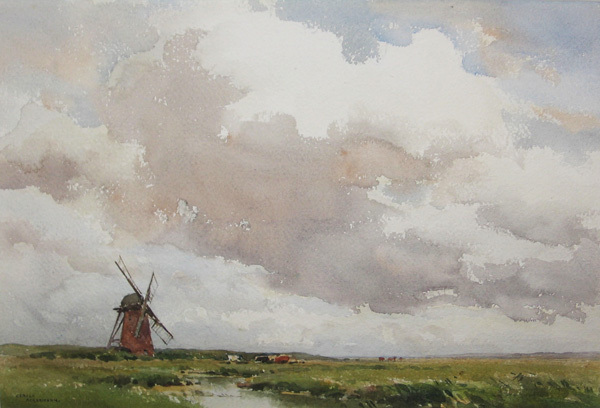 Gerald Ackermann RI 1876-1960 was born in 1876 at Blackheath. 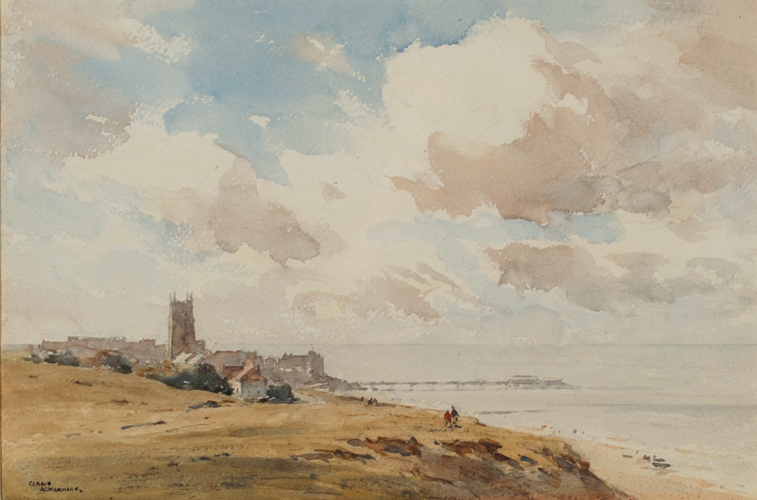 He was educated at New College, Eastborne and studied art at Heatherleys and later at the Royal Academy schools. It was here that he won the Creswick prize in 1900. He exhibited 6 paintings at the Royal Academy and at the Royal institute. 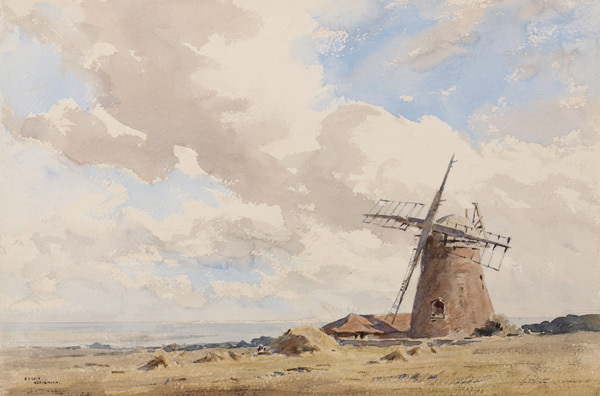 He painted widely in Britan, but after settling in Blakeney in Norfolk he worked extensively in Norfolk.